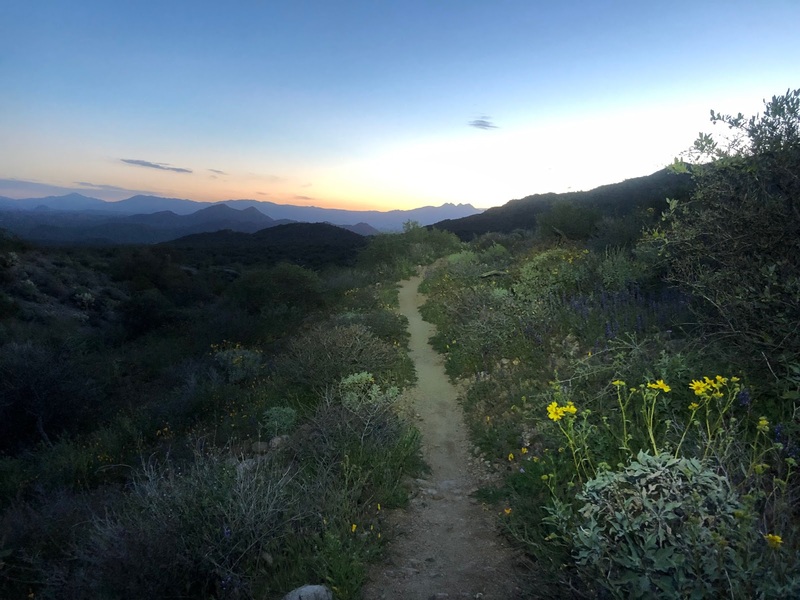 I just had to sneak one more in while th family was sleeping saturday, my wife in deep involved into preparing for finals and I didn't want to burden her by askin so off I went and was on trail by 4:45. I was hesitant to ride backside of Usery since I never night rode out there and wondered if I would get creeped out, it won since I really was not interested in Hawes again so Usery it was. All was peachy, I lost control ina few spots, my tires are really barking for a change. 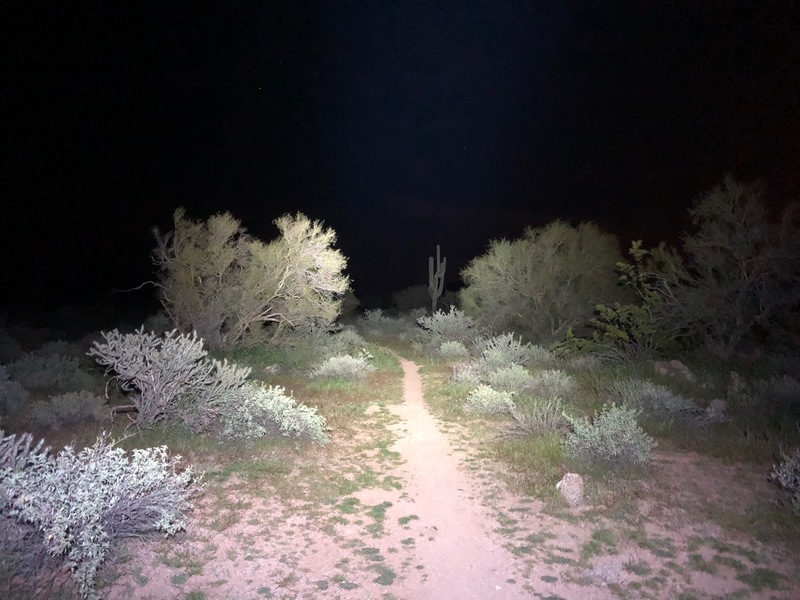 I slide off the trail for the second time and this time it happened so fast and unfortuunately right into a bush with a cholla as well. Luckily the cholla was a the mellow type and at the time I was going face first into it and luckily put my helmet into it just in time to take most the blow. My hand took all the needles and I happily took that over my face and eyes. It has been a long time since I have dealt with loosing control or touching a cacti. With an annoying hand filled with broken off needles I still happily finished the ride off nicely. Mission accomplished, a good ride week salvaged by early morning desperations.